In this article you will learn how to delete Playlists you may no longer wish to keep in your cloud media management panel. If you want to check out some demos and and extra information please visit our Playlists information page. To delete any Playlist start by selecting the ▼ Playlist category in the left navigation panel. 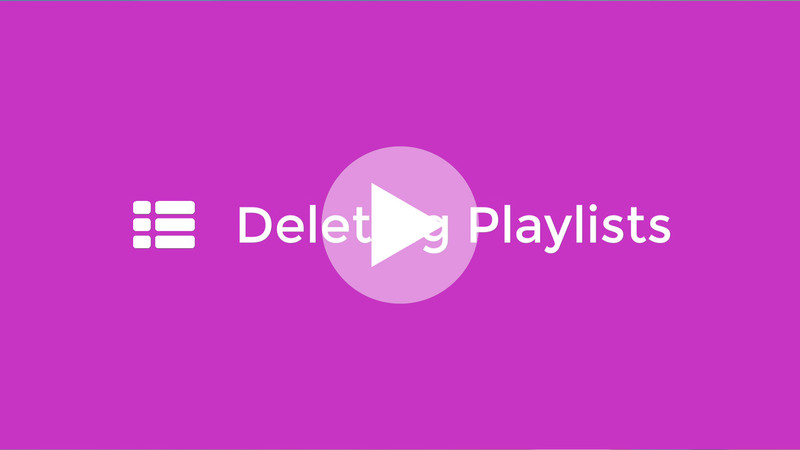 Here we can click on the ☑️ left selection boxes of the playlist you would like to delete. A ☑️ Tick will indicate that the chosen playlist is selected. You can now click the 🗑 Delete button with the Trash can Icon at the top. This will open a popup notification asking you if you really want to delete the selected playlist and all of the videos within it. Now simply click on the 🗑 Delete Selected button to confirm.